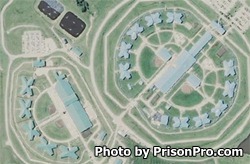 Western Missouri Correctional Center is located in Cameron Missouri. It is a medium/minimum security correctional facility that has the capacity to house 1,958 male inmates. Inmates are housed in open bay dormitories with approximately 100-150 inmates per dorm. Inmates may be selected to work various jobs within the institution, offering support roles in janitorial maintenance, food preparation, grounds keeping, and laundry. Inmates are offered adult basic education classes and the ability to earn a GED. Visitors who have an approved visitation application on file for their inmate may visit on Fridays, Saturdays, and Sundays from 9:30am-1:30pm and from 2:30pm-6:30pm.